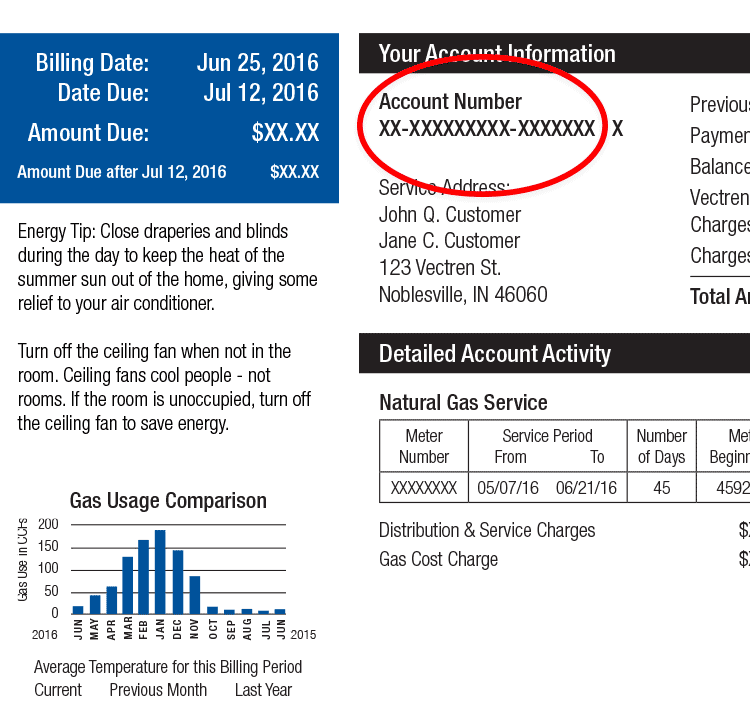 To pay online, you will need your Vectren Energy Delivery account number. Need help finding your account number? Bank AccountUse your checking or savings account. Credit CardPay with a credit or debit card. You may pay using either a checking or savings account. You'll need both the account number and routing number. There is no fee to pay with a bank account. To make a payment by mail, make checks payable to Vectren and allow five business days for delivery. Select the mailing address below which corresponds with the location of the service address. For accounts located in Daviess, Dubois, Gibson, Knox, Pike, Posey, Spencer, Vanderburgh or Warrick counties. For accounts located in all other Indiana counties. For accounts located in Ohio. Pay in person at an authorized third-party site. Select the button below to get started.